If you're suffering from Game of Thrones withdrawal, this may be right up your alley. 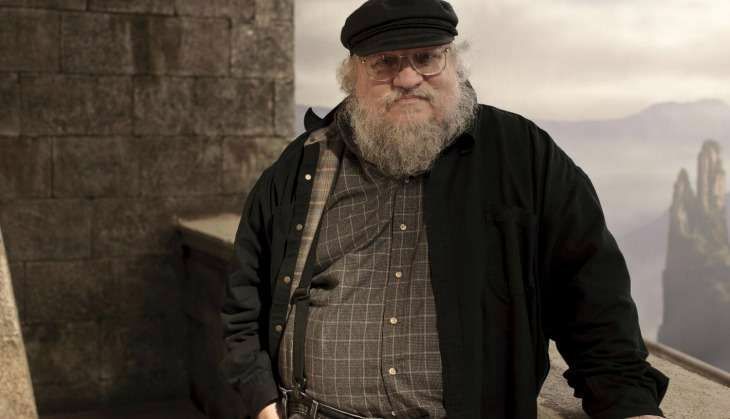 GoT writer George RR Martin has announced that his superhero series Wild Cards will hit the small screen soon. In a post on his blog, Martin announced that Universal Cable Productions has acquired the rights to his superhero series, Wild Cards. However, due to his contract with HBO, Martin will not be actively involved in the series. Martin writes: "The shared world of the Wild Cards diverged from our own on September 15, 1946, when an alien virus was released in the skies over Manhattan, and spread across an unsuspecting Earth. Of those infected, 90% died horribly, drawing the black queen, 9% were twisted and deformed into jokers, while a lucky 1% became blessed with extraordinary and unpredictable powers and became aces." Call us cynical but it sort of sounds like the opening sequence of The Flash. Unlike Game of Thrones, Wild Cards is "a series of interlocking books, graphic novels, games. But most of all it is a universe, as large and diverse and exciting as the comic book universes of Marvel and DC (though somewhat grittier, and considerably more realistic and more consistent), with an enormous cast of characters both major and minor". The first volume in the series was published in 1986, with 22 volumes released to date. Martin has said that he hopes the series will make it to screens "in the next year or two". His Game of Thrones received 23 Emmy nominations for its sixth season this year. The premiere of the seventh season is slated for summer 2017 internationally.